Oh, and here is a fun photo of her daughter wearing it. Now you know why I had to share! 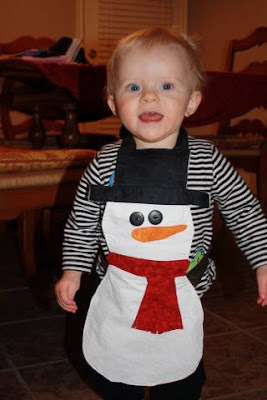 That's a very cute kids christmas apron! You have a very talented sister.